OMNI-A0140 is a two-stack array of multi-band dipoles to provide gain at GSM 900, PCS, UMTS/3G and WLAN bands, with a small down tilt to improve close-in coverage. It is mounted on an N-type connector base, with a spring for shock absorption and flexibility. A glass-fibre tube contains the antenna RF board. 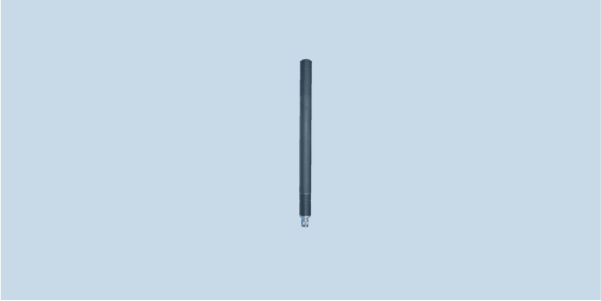 The lowest feed point is elevated about 250 mm from the base of the antenna, allowing the signal to be radiated over the user’s head to reduce absorbed power and increase field strength at the target. The antenna can be mounted on a vehicle by using MISC-A0051 magnetic mount.